Watch Boston Dynamics put their new Atlas robot through its paces in the video below. 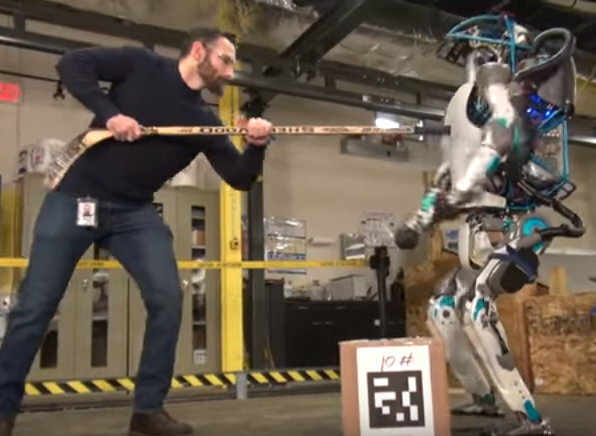 Once the guy with the hockey stick starts pushing it around it's challenging not to feel at least a twinge of empathy for the robot. After seeing the robot walk through the snow I suspect it might have secretly turned to drink to cope with all that unprovoked bullying. Seriously though, anyone who has followed the progression of robotics will appreciate just what an impressive machine Atlas is. Less than 20 years ago it seemed making a robot walk on two legs like a human was next to impossible. 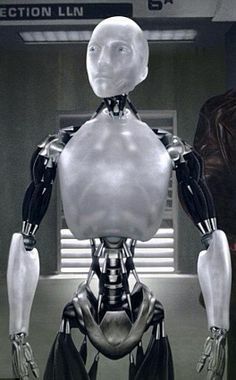 Atlas is actually not too far removed in appearance to Sonny from the movie iRobot. I think in a few years, as parts get refined, batteries shrink in size, a robot that at least looks pretty close to Sonny is a very real possibility. Obviously I have no real idea how Atlas works but I do notice the spinning cylinder in the head that looks very similar to the tech used in early models of Google's Driverless Cars. My guess is this is how Atlas surveys its environment. Looking at how it walked through the snow it seemed like it was reacting to uneven footing rather than avoiding less stable ground. Still very impressive though. An actual human following in its footsteps may have well fallen over. The next few years for robotics should be pretty interesting as artificial intelligence systems are inevitably combined with actual robots like Atlas (what it has already is probably considered an autonomous type of A.I. for understanding its surroundings and reacting according to data coming in). Possibly a scary thought for some and an exciting prospect for others. In the meantime, I think that guy with the hockey stick might want watch his back should robots become self aware and see this early footage of their development.